There are many tools that we can use with Visual Studio to install client-side packages like Bootstrap and jQuery. For example we could use tools like Bower, NPM, WebPack etc. However, we are not going to use any of these tools. We will instead use Library Manager (LibMan for short). Library Manager is a light-weight, client-side library acquisition tool. It downloads client-side libraries and frameworks from the file system or from a CDN (Content Delivery Network). 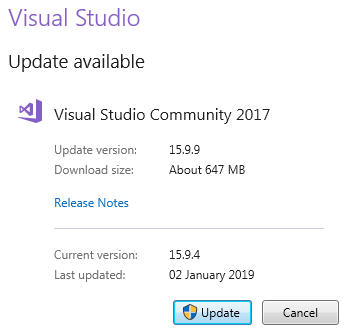 If you have an older version of Visual Studio 2017, you can easily update it. The subsequent window that appears display your current version and the latest available version. 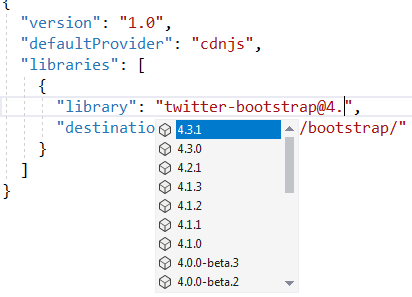 In the "Library" text box, type "twitter-bootstrap". Upon selecting the matching entry, it tries to install the latest version. However, you can manually type the version you want. You also have intellisense support. 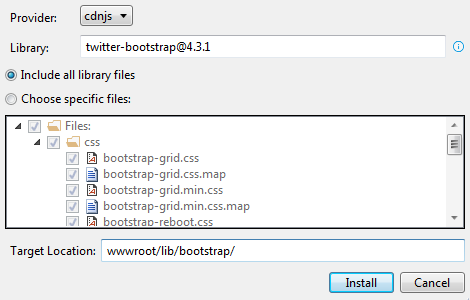 We will install the lates Bootstrap version 4. You can either include "All the library file" or "Just the files you need"
In the "Target Location" text box specify the folder where you want the library files to be copied. Recollect, by default static files are only served from WWWRoot folder. libman.json is the Library Manager manifest file. Notice in the manifest file we have an entry for the Bootstrap client-side library that we just installed. We can also directly edit the manifest file to install client-side packages, instead of using the user interface provided by LibMan. To clean library files, right click on libman.json file and select "Clean Client-Side Libraries" from the context menu. The clean operation deletes the library files from the destination folder. However, the entries in libman.json will not be deleted. 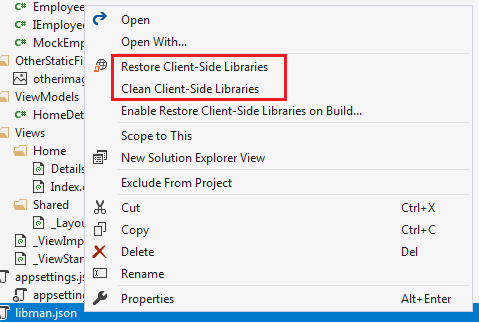 To restore the deleted files, right click on libman.json file and select "Restore Client-Side Libraries" from the context menu. The restore operation will download and copy the library files into the specified destination folder. Alternatively, you can also just delete the client-side library entry in libman.json file and upon saving the file, the respective client-side library will be uninstalled. Similarly, to upgrade or downgrade a client-side library, you can directly change the version number in libman.json file. Upon saving the file, the respective client-side library is updated to the version specified. 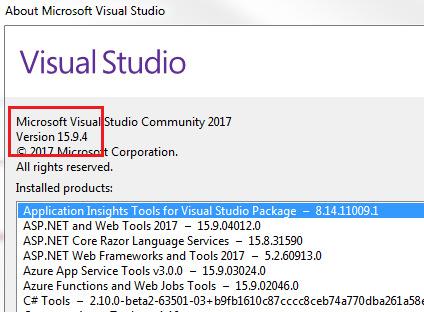 You will also have intellisense when editing the version number in visual studio. We will be placing all our site specific CSS in a separate stylesheet. Add a stylesheet with name site.css to the "css" folder. We already created this "css" in "wwwroot" folder. To start using Bootstrap in your asp.net core application, include a reference to the Boostrap.css file in the layout file _Layout.cshtml. Also include a reference to our custom stylesheet site.css. Please note : We are using the Bootstrap "container" class for positioning elements on the page. We are using Bootstrap 4 styling class to position and style elements on the page.